Ok, are you sick of Ghostbusters stuff, yet? 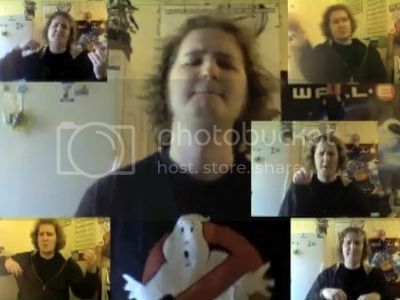 If not, I have just the merciless barrage of over-exuberant fanboyism for you, in the form of Matt Mulholland performing the Ghostbusters theme song in 14 part harmony (with himself). Via Unique Daily, who has never before been driven to file assault charges after an a cappella performance.